Updated at 8 p.m. ET: NEW YORK - A suspected terrorist parked a van packed with what he thought was a 1,000-pound bomb next to the Federal Reserve building in Lower Manhattan and tried to detonate it Wednesday morning before he was arrested in a terror sting operation, authorities said. Quazi Nafis, 21, the former student accused of plotting to blow up the Federal Reserve, had tried to find likeminded people on Facebook to join him in his violent jihad. NBC's Pete Williams reports. The suspect, 21-year-old Quazi Mohammad Rezwanul Ahsan Nafis, is a Bangladeshi national who came to the U.S. on a student visa in January for the specific purpose of launching a terror attack here, authorities said. He allegedly told an undercover agent last month that he hoped the attack would disrupt the presidential election, saying "You know what, this election might even stop," according to the criminal complaint against him. "He clearly had the intent of creating mayhem here," Police Commissioner Ray Kelly told reporters Wednesday, saying his actions went "way past aspirational." The complaint said Nafis wrote a statement claiming responsibility for what he thought would be the Fed attack, saying he wanted to "destroy America" by going after its economy. He referred to "our beloved Sheikh Osama bin Laden" in the statement, which was stored on a thumb drive. He also proposed various other targets beyond the Fed building at 33 Liberty St., just blocks from the World Trade Center site, prosecutors said. He considered targeting a "high-ranking U.S. official" as well as the New York Stock Exchange. NBC News security analyst Michael Leiter discusses Quazi Mohammad Reswanul Ahsan Nafis' alleged attempt to blow up the New York Federal Reserve, including how the FBI helped identify him early as a radicalized student. Kelly said he knew who the official was but refused to name the person, saying only that any details not in the complaint would be revealed in future court proceedings. Nafis, who lives in Jamaica, Queens, attended Southeast Missouri State University for a semester, studying cybersecurity as a sophomore from January through May 2012, a school spokesman said. He sought a transfer to a New York City ESL program and left Missouri after the spring, according to a law enforcement official. The FBI has arrested a 21-year-old man from Bangladesh who was riding in a van carrying a powerful bomb meant for the Federal Reserve in Manhattan. Federal agents say the suspect came to the U.S. in January on a student visa. NBC's Pete Williams reports. He allegedly sought out al-Qaida contacts to help him, unknowingly recruiting an FBI source in the process. At that point, the FBI and NYPD began monitoring him as he developed the plot, prosecutors said. 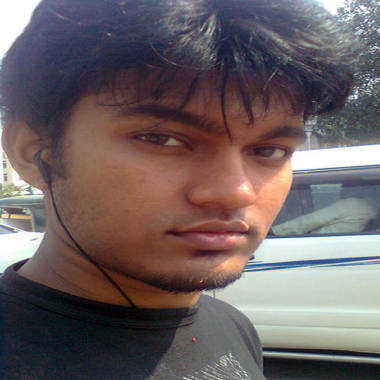 This Twitter profile picture, obtained by AFP, allegedly shows Quazi Mohammad Rezwanul Ahsan Nafis of Bangladesh. An undercover FBI agent posed as an al-Qaida facilitator, supplying him with 20 50-pound bags of what he thought were explosives to use in building his bomb. Nafis also visited the Lower Manhattan site multiple times as he planned the attack, officials said. The complaint said he told an agent in July that he wanted "something very big ... that will shake the whole country." Prosecutors say Nafis met the agent Wednesday morning and put the bomb inside a van before driving to the Fed building, assembling the detonator while he drove. The pair parked the van by the Fed, got out and walked to a hotel, where Nafis covered his face, put on sunglasses and recorded a video statement he meant to be released after the attack. He then tried to detonate the bomb through a cell phone detonator, officials said. Law enforcement officials stress that the plot was a sting operation monitored by the FBI, Homeland Security and NYPD and the public was never at risk. The materials he believed were explosives had been rendered inoperable, officials said. Nafis was charged with attempting to use a weapon of mass destruction and attempting to provide material support to al-Qaida. His attorney declined comment after a court appearance. "Attempting to destroy a landmark building and kill or maim untold numbers of innocent bystanders is about as serious as the imagination can conjure, " said Mary Galligan, FBI acting assistant director in charge. Jonathan Dienst is WNBC's chief investigative correspondent. Shimon Prokupecz is a WNBC investigative producer. The FBI and NYPD arrest a suspected terrorist involved in an apparent plot to attack the Federal Reserve of New York, reports WNBC's Jonathan Dienst.